Whilst some scientists are preparing for first contact with alien species (see “Alien Invasion”) some are planning to invade Mars – or more specifically its largest moon Phobos (pictured). As you will all know 😉 this is in breach of the United Nations Outer Space Treaty of 1967. But the Russian Federal Space Agency plan to send their Phobos Sample Return Mission to Mars with microbial spores and live bacteria in sealed containers. 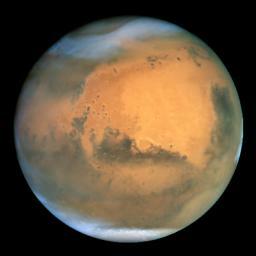 The mission will fly to Mars and after studying it from orbit will land on Phobos, the larger moon. There it will scoop up samples and then return to Earth in 2014. If the samples of spores and bacteria survive the 3-year journey the Russian scientists say it will prove the theory of transpermia ie that microbial life can be exchanged between planets via rocks that are ejected from their surfaces by collisions. All the Martian meteorites found on Earth spent millions of years in space before arriving so the experiment doesn’t seem very realistic and not everyone believes in the transpermia theory anyway. The space treaty makes specific reference to not contaminating other celestial bodies nor bringing back contamination that might damage the Earth’s environment. And of the 38 Mars missions only 19 actually made it and 3 of those crashed on the planet’s surface, so there is a possibility it will end up somewhere else in the galaxy or crash into Phobos or Mars. This is like the “Invasion of the Body Snatchers” in reverse. Spookily, the 2007 re-make “The Invasion” was about a flu-like virus brought back to Earth in a crashed space shuttle. The virus turned its victims into cold emotionless people after they slept. Does that sound like anyone you know? Categories: Politics | Tags: alien, extra-terrestrial, Mars, Phobos, transpermia, UN Outer Space Treaty 1967 | Permalink.